This 6-way series splitter Passes DC Power and Return IR Signals to all ports for Satellite Receiver Output and TV Antenna Distribution. Ideal for Hotel, Motel, Apartment, MDU, MATV and SMATV Applications. 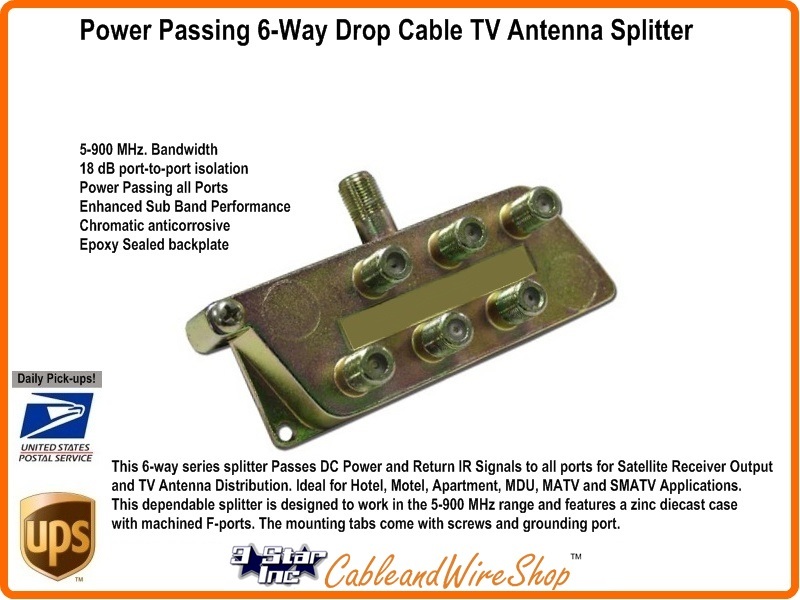 This dependable splitter is designed to work in the 5-900 MHz range and features a zinc diecast case with machined F-ports. The mounting tabs come with screws and grounding port.